I would like very much for people to think outside of themselves more. I’ve seen so many people who seem to live as an accumulation of their beliefs, as though that is what makes them human. What can happen to a person like this when any of their beliefs should prove to be false? The basis of what they believe makes them human then also crumbles. No person is simply a collection of concepts, there is an individual behind the veil of opinions. I had the pleasure of interviewing Jonathan Antoine . 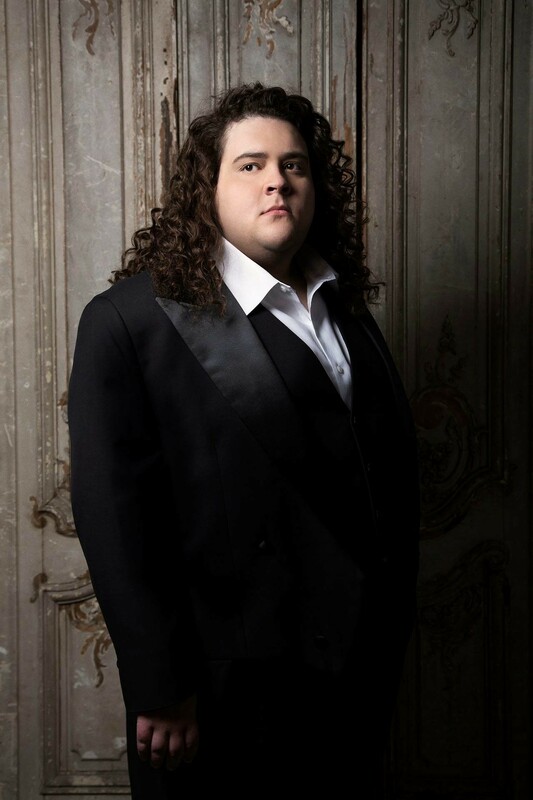 Jonathan is a Two-time Youngest UK Number 1 Classical Tenor (with a 3rd on the way). He is also CEO of Antoine Multimedia Ltd., one-time talent show contestant, and an Unprofessional comedian. Not a problem, it’s a pleasure to chat to you! Honestly I suppose people expect there to be some tale of me hearing Pavarotti on the radio as a child and deciding in that moment that I would pursue the grand Opera, and it may feel a touch disappointing that no such story exists. I would posit, however, that the idea that everything I have done in my career is the product of random chance perhaps drawn together by some divine musical force is more interesting than any trite TV talent show story I could ever recall. In late 2012 I was a part of a short 45 minute documentary aired on ITV, which you can now find in full on youtube. As a part of this documentary the team was taken to the grave of the late great Luciano Pavarotti. Ever since his departure in 2007 I had lamented that I would never get to sing either with or for him, and in a sense this felt like the closest I could get. I cried a lot that day, emotions that I didn’t know I had surfaced in ways I didn’t expect and bubbled over. I find it so peculiar that a person could get so flustered over someone they had never met, and never even had prospects to meet, but there I was at the grave of an unknown man, feeling as deeply connected as I might had this man been my own family member. On that same day I found that Pavarotti had had a son, stillborn, on the day of my 6th birthday. My mum still harps on about what a strange coincidence it is to this day! I’m preparing myself for my very first public concert in the US, after 5 years of constant requests from fans in the States the entirety of Team Antoine is taking the production to LA for what is ostensibly a trial show, testing the waters to see if it’s viable and sustainable to start self-producing more shows. Alongside that planning for a 3rd solo studio album is currently in its infancy, with an aim to release some time in Winter 2018–19. I come into contact with interesting people on an almost daily basis, famous or otherwise, but a particularly fun occurence came when I worked a charity gig for Samuel L. Jackson once — back in 2012 he asked the duet I was part of to perform at one of his charity functions in London and it was packed with intriguing people! There’s a picture out there somewhere of the duet alongside Mr. Jackson himself and Lewis Hamilton (Legendary F1 racer) which still completely blows my mind. The respect and genuine energy that Mr. Jackson exuded as he announced us is a feeling that has stuck with me and most likely will for the rest of my life. Not only one of my very favourite actors but one of the best of all time! I find myself far too preoccupied with the idea that the actions we take now are the building blocks for what will become of history, if that makes sense. Much as those in the past have laid out as fertile a world for their successors we too are striving to become history for those people we care most about. As facetious as it may seem to say this, those people in history who inspire me the most are those whose actions will secure a future for humanity; us. I don’t believe I’ve ever done anything more than any person should do: Engage with the people around you. I realised at a very young age that it is a great blessing and advantage of the human race that we can learn so deeply from others. I believe we are the only species which can better itself through interactions with others, and that is what I promote as best as I can. Just talk to each other! You don’t have to do everything that everyone asks of you — If you don’t think an opportunity is right for you specifically, if you believe that perhaps an event isn’t the demographic that your music hits with, you don’t have to do it just because it pays. In the art world your “brand” comes before any form of monetary gain. Always always always have more than one teacher — I don’t mean multiple lessons at a time don’t worry! What I mean by this is to accept techniques and viewpoints from as many different sources as you possibly can, my primary coach at present is Joy Mammen but I’ve worked with so many different coaches over my time that I have been able to incorporate teachings from every genre and walk of life into my act. Don’t stop moving forward — This ties into my first point regarding your artistic “brand”. At no point should you allow your “brand” to step backwards, always advance. Once you’ve gigged the Albert Hall, never let yourself be stuffed into some musty basement production. Make as many friends as you can — Every single person involved in every single production you are ever a part of is a key part of making that production exist at all. Every single person you come into contact on a daily basis has an immeasurably large sphere of influence, and the most effective marketing tool is the simple word-of-mouth. Friends and business relationships are one of the most criminally undervalued resources in this industry, and this is the industry which spawned the very phrase “It’s not what you know, it’s who you know”. The recipe for true satisfaction is, in some cases, blissful ignorance — I find that it helps in general not to be concerned with the actions of your peers and competitors, once you find joy in doing the things you wish to do, only then is it worth comparing yourself to anyone. Snoop Dogg. I just think he’s really cool.